“86 year-old Irving Zisman (Johnny Knoxville) is on a journey across America with the most unlikely companions, his 8 year-old Grandson Billy (Jackson Nicoll). Along the way Irving will introduce the young and impressionable Billy to people, places and situations that give new meaning to the term childrearing. The duo will encounter male strippers, disgruntled child beauty pageant contestants (and their equally disgruntled mothers), funeral home mourners, biker bar patrons and a whole lot of unsuspecting citizens. Would you want to have Irving Zisman for grandfather? And are you impatient to see this new Jackass movie? 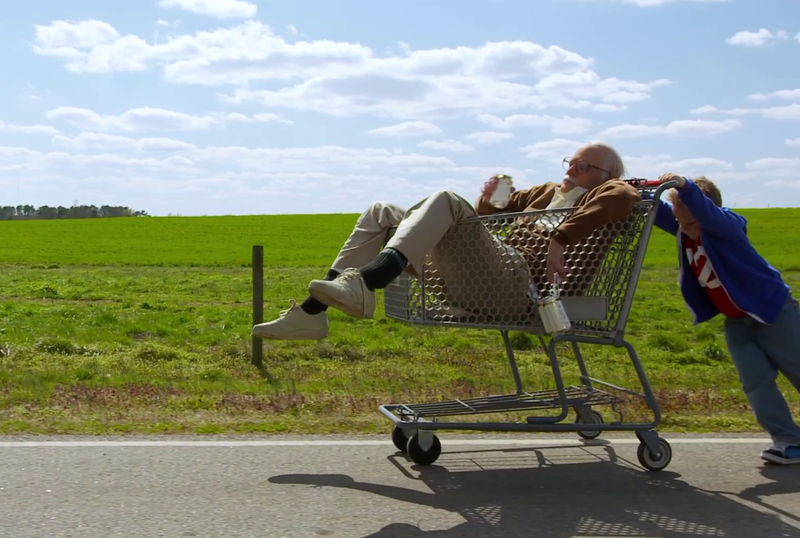 The release date of Jackass Presents Bad Grandpa is set for October 25, 2013.